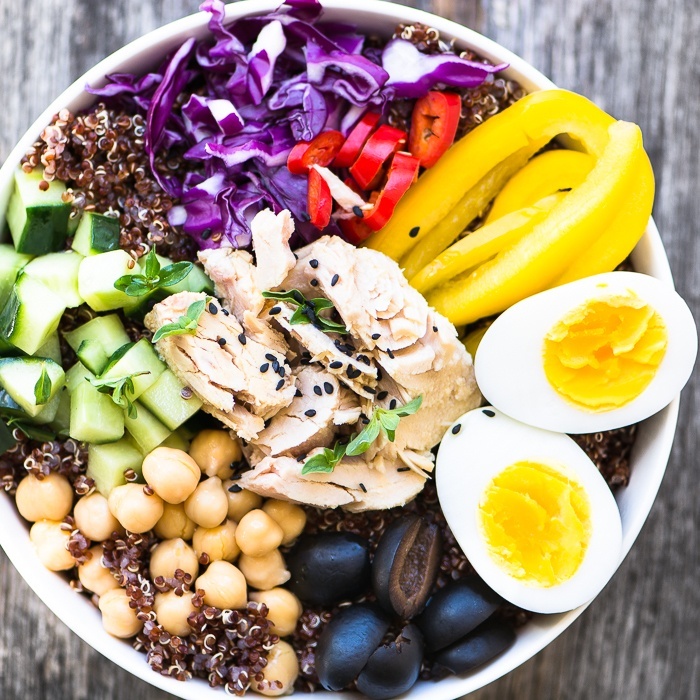 My quick and easy Albacore Buddha Bowls are so packed with flavor, protein, and vibrant nutrition, you won't believe they're made with pantry staples. Put your base ingredient, farro or quinoa, into a small bowl. Remove the tuna from the can and place it in the middle of the bowl. There's no need to drain the tuna since it's packed in olive oil. Arrange the rest of the ingredients around the edges of the bowl. Whisk together the dressing ingredients (the amounts above are for one salad) and drizzle over everything.